The NHS and social care services are in a state of crisis. 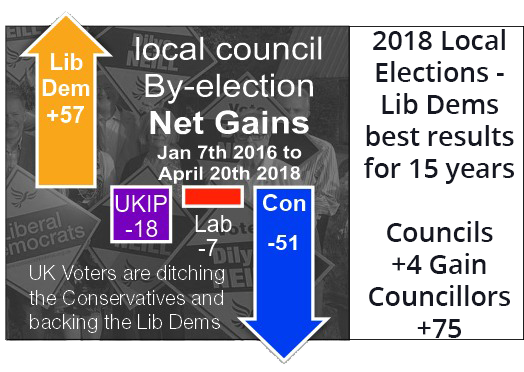 The Conservatives have left them chronically under-funded, and staff embattled and undervalued, while need continues to grow and patient care suffers. Click to see a larger video. Liberal Democrats will protect these vital services – funding them sustainably, supporting and valuing health and care workers, and joining up health and social care – so people are able to live well at home. 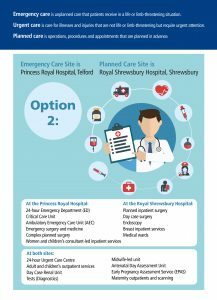 Option 2: Emergency Care Site is Princess Royal Hospital and Planned Care Site is Royal Shrewsbury. NHS has 100,000 job vacancies. 40,000 are for nursing posts. Chief Exec of NHS England, says it needs:- at least £4bn to meet its commitments- and at least 4% increase this year. Social care facing £2bn black hole this year. 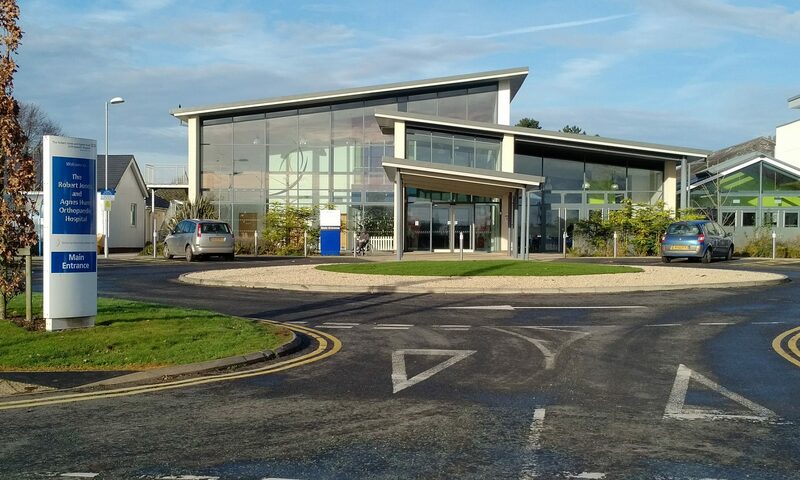 The SaTH are consulting on the reorganisation of Shropshire’s two main Hospitals – The Royal Shrewsbury Hospital and the Princess Royal Hospital in Telford. The NHS Future Fit consultation (English || Cymraeg )has now been extended to the 11th of September. We would rather we weren’t in this invidious position of playing one hospital off against the other. 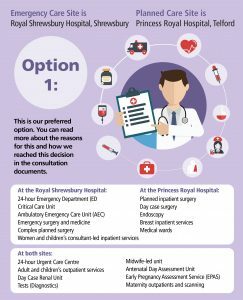 It would have been far better if a new modern hospital was built between Shrewsbury and Telford next to the A5 and the old sites mostly sold off. 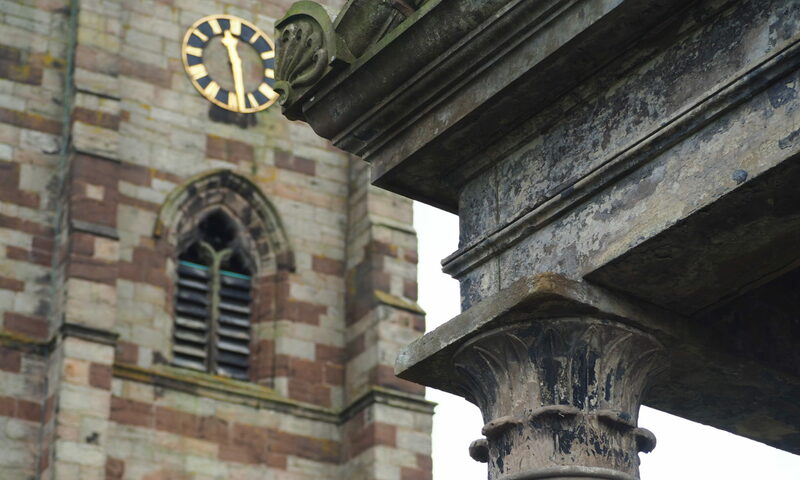 NHS has agreed to a budget of £312million, the largest capital grant in England in the current round, to deliver the transformation programme. 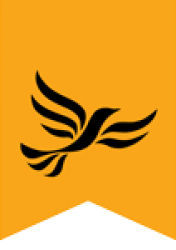 Liberal Democrats think that a new ring-fenced income tax top up of 1p in the pound to directly fund the NHS and Social Care is now needed. We also think that the NHS and Social Care should be merged into a new National Care and Health Service. Research by YouGov shows that the public is open to the idea of raising money through tax or National Insurance in the face of this crisis. To persist as we are is madness.